Everything that’s good to eat is a little better with the right wine. As I mentioned in an earlier instalment, the strongest Christmas blessing I can give you is that you enjoy your food and drink as much as I will enjoy mine. Because I’m going to eat and drink like a King. And in that spirit, I’m going to suggest some unexpected but pitch-perfect pairings of food and wine. Over the last few weeks, as we’ve asked our winemakers about their Christmas traditions, seafood has emerged as a festive favourite right across Europe. While oysters mightn’t be as popular in Ireland as they are in France, we have our own traditional Christmas seafood: smoked salmon. 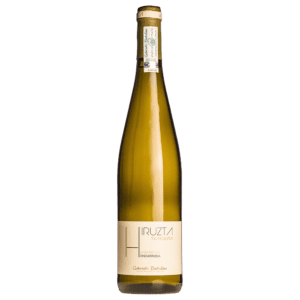 Whether you’re serving smoked salmon on its own or with rich buttered soda bread (or indeed if you’re going for oysters or a retro prawn cocktail), the wine I’d recommend is the same: Hirutza Txacolina. Don’t be put off by all those Xs and Zs, Hirutza Txacolina is a mouthful in the best possible way. Txakoli (CHA-KO-LEE) is a crisp, dry, slightly sparkling white wine from Getariako Txakolina in the Basque Country of Northern Spain. The wine tastes pristine and is full of apple, grapefruit and floral aromas. It’s perfect with almost any seafood. The little spritz of residual carbon dioxide lifts richer fish dishes or seafood with any dairy elements. Crisp, delicious and slightly effervescent.